The current mantra for writers and wannabe writers is ‘If you want to people to buy your book then you need a great opening.’ And yes that’s true, the first few pages are crucial. If you don’t hook your reader straight away as they browse in the book shop or online then you’ve pretty much missed the boat. The early introduction of empathetic characters, an alluring setting, an enticing hook – all these things definitely help to sell books. But there is another reason people buy books and that is because they have recently finished a book by a particular author and they want to read another. So, getting readers to want to read more of your novels is clearly a ‘good thing’. But what makes them want to read more? Well, all the usual suspects … a compelling idea, a well constructed plot and story structure, characters that live on beyond the page, and, I would suggest, a really good ending. 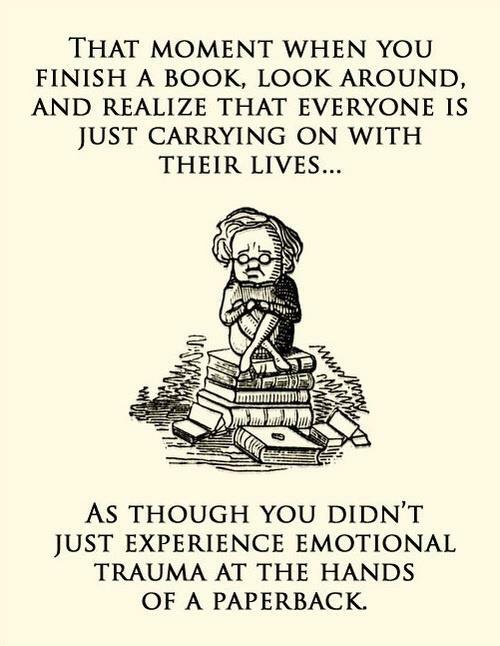 I often hear people say ‘oh yes, I enjoyed that novel but it tailed off at the end,’ or ‘the ending was bizarre,’ or ‘it had a really disappointing ending’. First impressions are important for attracting readers but it’s the final impression that brings readers back for more (or not). My least favourite endings are a) when there’s a huge explanation at the end about why everything has happened, b) when the author clearly has run out of steam and it all just peters out, c) when it’s so enigmatic you don’t quite know what’s happened d) when the characters suddenly start acting ‘out of character’ just to get it all finished. There are lots of other examples – I’m sure you can think of plenty too! So, what is a good ending? It doesn’t have to be happy, it doesn’t have to be dramatic, but it does have to leave the reader with a sense of emotional satisfaction, of completion, of growth and resolution. And how do you create a good ending? I believe it all comes back to planning, if the author knows exactly where the book is headed before starting to write then the character motivations can be set up right from the start, the clues can be layered in and the theme and purpose of the novel can be focussed and consistent. People sometimes say authors are only as good as their last book, I might say they are only as good as their last ending!